Ada pertanyaan untuk Sunrise Tropical Resort? Jika apa yang Anda cari adalah properti yang terletak strategis di Krabi, pilihlah Sunrise Tropical Resort. Properti ini tidak terlalu jauh dari pusat kota, hanya 20 KM dari sini dan umumnya hanya membutuhkan waktu 45 menit untuk mencapai bandara. Dengan lokasi obyek wisata utama di kota ini yang sangat dekat seperti Real Rocks Climbing School & Shop, Pantai Railay, Pantai Phra Nang, tamu akan sangat menyukai properti ini. Sunrise Tropical Resort berkomitmen untuk memastikan kenyamanan selama Anda menginap dengan menawarkan pelayanan superior dan sejumlah fasilitas kepada para tamu. Properti ini menawarkan sejumlah fasilitas di tempat untuk memuaskan segala jenis tamu. 40 kamar yang tersebar di 2 lantai memberikan suasana hangat dan menyenangkan ketika Anda jauh dari rumah. Kenyamanan seperti televisi layar datar, handuk, ruang penyimpanan pakaian, akses internet - WiFi, kamar bebas asap rokok dapat di temukan di beberapa kamar tertentu. Properti ini menawarkan fasilitas fantastis, termasuk pusat kebugaran, kolam renang luar ruangan, solarium, kolam renang anak, taman, untuk membantu Anda bersantai setelah beraktivitas seharian di kota. Apapun alasan Anda mengunjungi Krabi, Sunrise Tropical Resort adalah tempat yang sempurna untuk liburan yang menyenangkan. Satu-satunya cara untuk menuju resort adalah dengan menggunakan perahu long-tail dari Pantai Ao Nang Beach atau Dermaga Ao Nammao. Jumlah maksimal anak per kamar adalah 1 orang. Tambahan jumlah anak akan dikenakan biaya tambahan. Anak berusia 4 hingga 11 tahun akan dikenakan biaya THB 150 per anak per malam ketika menggunakan ranjang yang telah tersedia (termasuk sarapan). Best location ever! Loved this resort! We had a bungalow that was huge and had a front porch where we could could watch monkeys each day. The area was super quiet but if you’re looking for a bit of lively atmosphere it’s a short walk to the busy side. Be sure to buy your airport transfer from the resort....a much better experience than another commercial company. They take really good care of you. The staff was awesome!!! We had a mi I villa. The o ly thing that we wished was that it was only one level. We were afraid of forgetting about the steps. We both forgot and fell. But the resort was incredibly fabulous. We'd definitely stay here again, and we highly recommend it. The location although on the east side of the island holds its own charm. There is always much activity going on at the pier and and surrounding area. It's great watching all this activity from the comfort of thr bar/dining area. Give it a go you won't be disappointed. Many thanks to all the staff for a memorable 4 days. Arriving to the accommodation we were greeted nicely. The room was big with a big bathroom. It smelled really bad like sewage sometimes, but like in all places we passed through in Thailand so far. The glass doors don’t close totally, being really easy to mosquitoes to go in, but they provide a electrical repellent. Blindfold/sleeping mask required once curtains don’t block sunlight. Breakfast was good, with some variety. We had dinner twice and the food was good and not crazy expensive. The swimming pool was nice, but be prepared to eat loud boat noises day and night, because there is a pier in front of the hotel. If we would come back to Railay, according to price/quality/location we probably would stay here again. P.s- a heads up during arrival about giant lizard wondering around the swimming pool sometimes, would be nice. They are not dangerous, once they are more afraid of you, then you of them, but it’s a bit scary to be surprised by a 1,5m/2meters lizard while you relax. We really enjoyed our stay. The staff were wonderful. The only con was that we were on the east side and each day there was a low tide which left a muddy, smelly beach. It wasn’t that big of a deal and we enjoyed our time there, except we just weren’t expecting it. Our room was big and clean, however the garden was slightly unkempt and dirty. We stayed 3 nights in Railey, 2 nights on Phi Phi and 1 night in Ao Nang. This stay was the BEST. 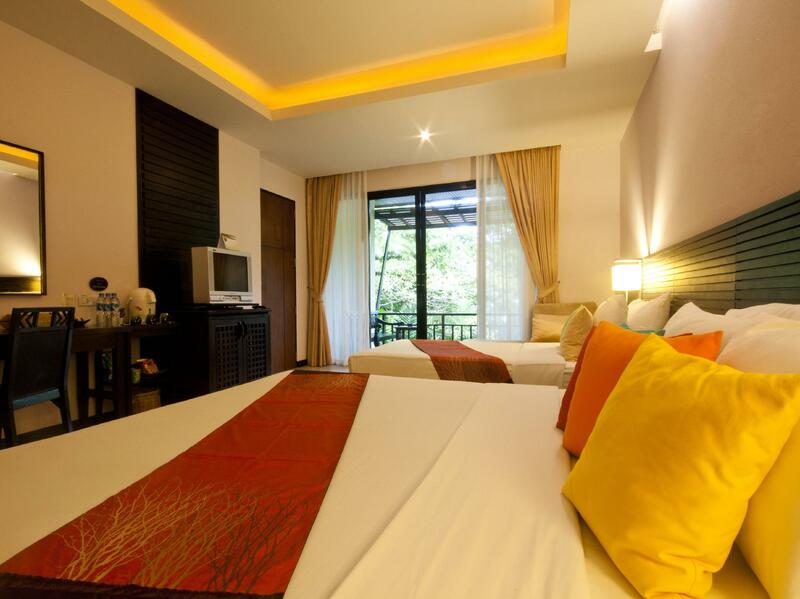 We were accommodated in a bungalow, but each building was split into 2 separate accommodations, back-to-back. Inside: spacious, clean, bright, super pleasant. Lots of windows with view on a tropical garden with palm trees, birds and monkeys wondering around. The garden up-kept well, very tidy and definitely not a thick jungle bushes. Sure, the other side of Railey is considered the more beautiful one, because of the white sand beach, but where this hotel is located is where the jetty is, and you arrive right into the hotel. Also convenient to go hiking into the hidden lagoon and the viewpoint. Also you can cross to the white sand beach heading in either direction from the hotel: either passing by restaurants or by the walking street. Finally, the accommodation feels like a tiny house rather than a fancy apartment, which is absolutely great. Even on a rainy day would be great stay. You can only get to this hotel by boat, but it has the best beaches in Krabi so it is worth it ! The hotel staff were very friendly and helpful, welcome drink was appreciated. Free breakfast was always delicious ! Pool is clean. Room is clean and very spacious ! !5 min walk from 3 diff beaches. The ONLY con is the bed is pretty hard. But that seems to be the trend at all hotels so far. Great spacious room with a lovely balcony - from which I could see the monkeys coming to feed in the garden. 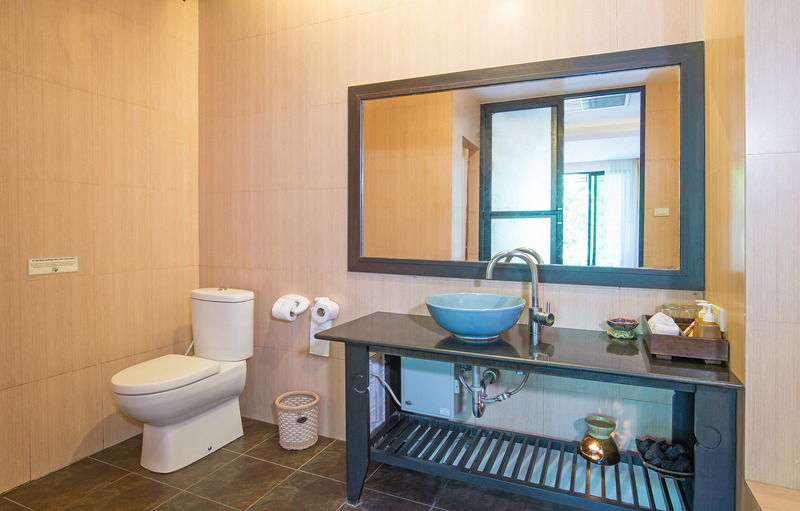 It is a good location allowing you to roam through Railay - everything accessible within 10 minutes. I only ate once at the restaurant but it was good. Nice staff, clean room. 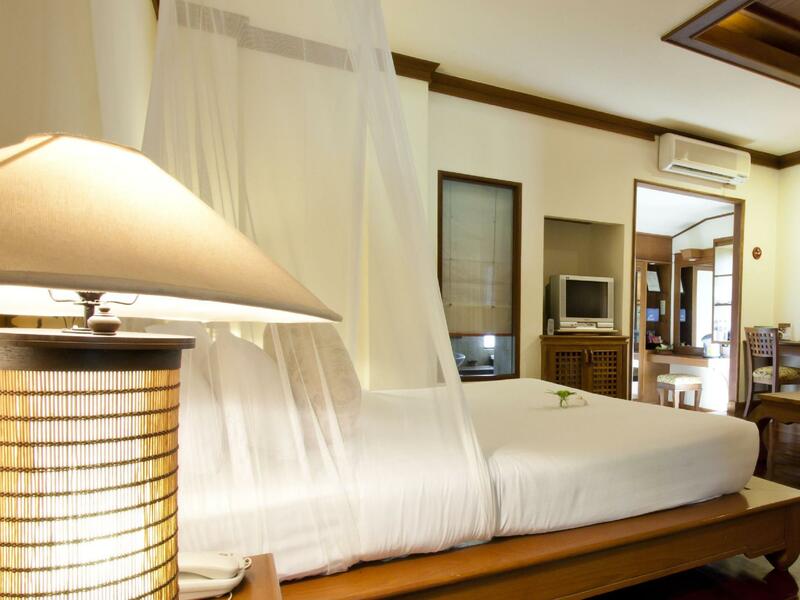 It had been difficult for us to find accommodations for our family of 4 (2 adults/2 kids 12 yr and 9 yr)in Railay. The Sunrise Tropical Resort was nice and worked for our family. We were greeted with a WONDERFUL smile, welcoming guava drink and the best part.... a cold washcloth! We had a room with a queen, single and cot right next to the pool. It was clean, beds were asian style futon mattress type beds, a bit firmer than we are used to but ok. Wish we had a mosquito net around beds, as there were mosquitos in the room despite the hotels attempt to control them with a citronella diffuser. Kids left their snorkel masks at the pool and did not remember until after we checked out. The staff have been VERY helpful in locating and mailing them back to us! We really appreciate their help! 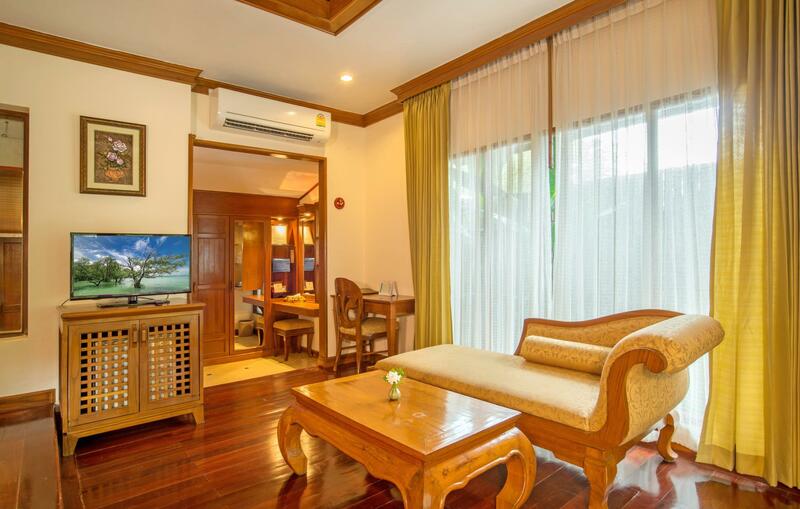 Railay is a very small area so hotels are all within 5-10 min walk from one another. FYI: long tail boat from AoNang to Railay 100 baht per person each way. Climbing was fantastic! It is close to everything, the rooms are amazing! We had a problem with air conditioning that was leaking and they immediately sent someone to fix it and when it didn't work they moved us to another (amazing) room. 5 stars! Sunrise was a decent option as what I would term a 3-star Resort. 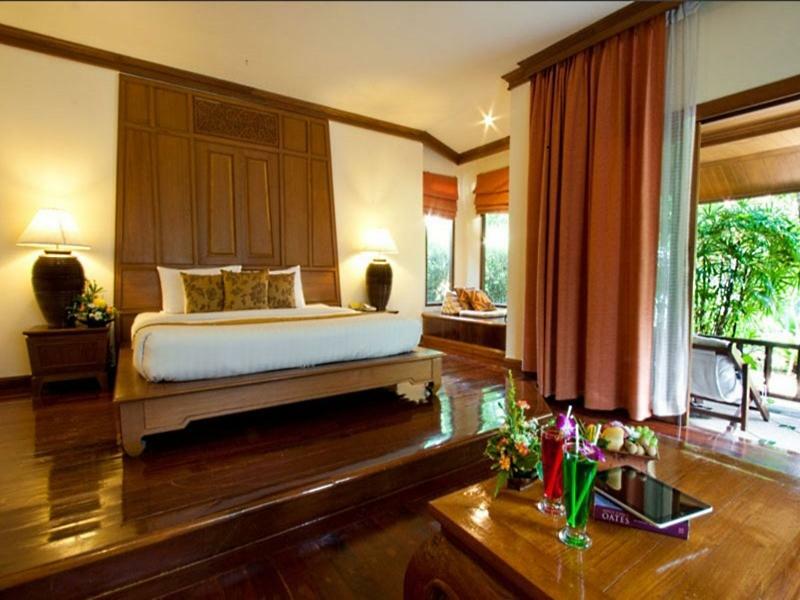 Have stayed at both Railay Princess and Bhu Nga Thani and they are much nicer and the service is amazing. We had some issues with transport to and from airport but Sunrise was not able to help. They offered us a ride, but it was 1500 baht for two. Local transport was 800, half the price and easily as efficient. I would stay there again, but there are better options, although a bit more expensive! Rooms were very nice, pool needs updating and the location is excellent!! 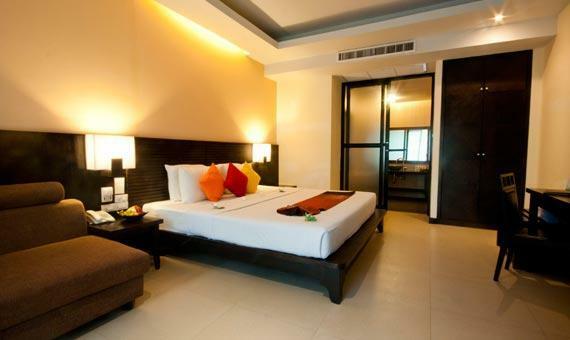 Overall comfortable bed and great room ambience. The taps however were too strong and would always splash out of the basin. Certain details of the room were oddly designed - considering the price point of this villa I expected it to be done better. Located right on the sea front but not on the beach.. it the beach where all the long tails come in to deliver visitors, workers and supplies so can be a interesting watch. However the view is very good with the tall cliffs and mangroves. Just a few minutes walk to the other 2 beaches which are lovely. Go before the visitors arrive for the desert island feeling. Not far from the walking street where choice of F&B is good. The hotel is nice. The suite rooms lovely and spacious but no view of the sea. Very clean. Lizards walk over the roof and paths early in the morning which is lovely. Breakfast was ok. No pork bacon or sasauges though. Good coffee. Be aware there are no roads from Krabi to this hotel. Long tail is a requirement and if stormy it can be a roller coaster ride and you do get wet. The hotel is right by the pier so it's very convenient if you're traveling with heavy luggage or leaving early in the morning. Breakfast was decent with a variety of cuisines and options. 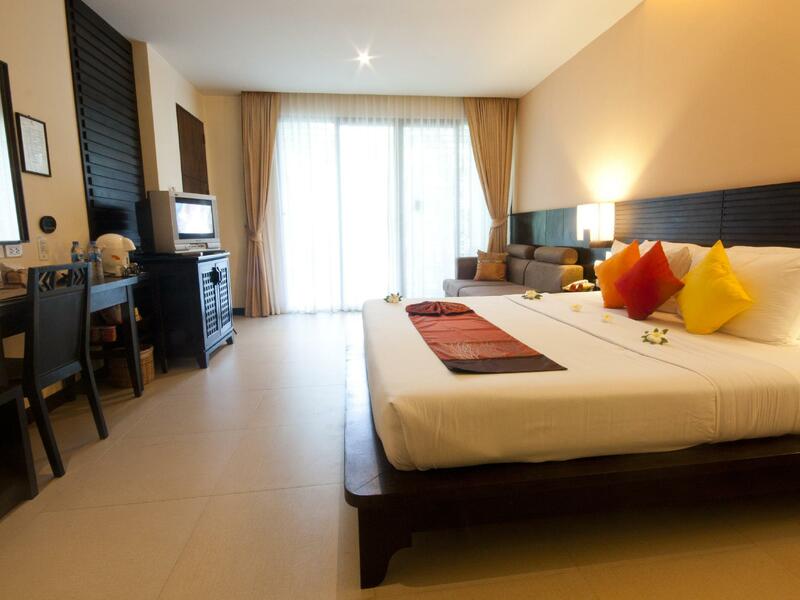 The rooms are spacious and well-kept. The pool is a bit small but the beach is close by so that doesn't really matter. The rooms were larger than expected and housekeeping was exceptional. Staff was always ready to help. Location doesn't really matter as everything on Railay is within walking distance, but it's right by the pier which will help if you're traveling with heavy luggage. Booked the airport transfer from the hotel and we were greeted at Krabi airport with a friendly driver who drove us to Ao Nang pier. Over there, we waited at an office for the long tail boat. Upon reaching Railay Beach, it was during low tide, so the hotel had a tractor which picked us from the boat and drove us to the hotel’s doorstep. The room was spacious and clean. Bed and pillows were comfy, aircon does not need key card to activate. Service from the hotel staff is one of the best. They speak good English and are very caring towards guests’ needs. Dinner food can be improved. Would love to stay here again! Resort was on the side of the peninsula where there was not a swimmable beach, which made it very quiet and nice. 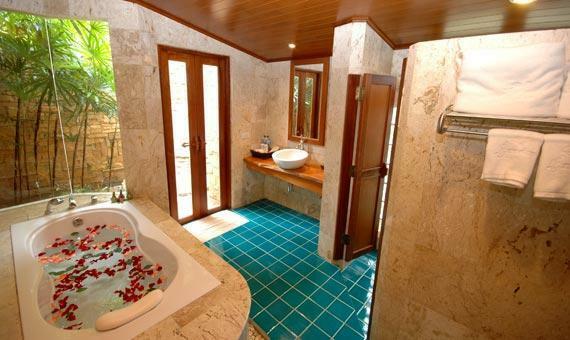 Individual bungalows are excellent, with huge bathrooms and living spaces. Breakfast had many many options, and room service was prompt. The only complaint would be the bar only had one type of beer. Staff speaks okay English, and was generally helpful. I would recommend booking tours NOT through the hotel as we found them to be cheaper elsewhere, without looking hard at all. Expensive, but everything is on this part of Krabi. Short walk to beach!